The superior MS Lupus Mare is an elegant 42.5 m cruiser that comfortably accommodates up to 40 guests. It boasts 20 air-conditioned en suite cabins that are modern, stylish and spacious. The public areas of the ship include a chic and expansive air-conditioned salon-restaurant with panoramic ocean views and bar. There is also a comfy lounge with sofas and extended alfresco seating. 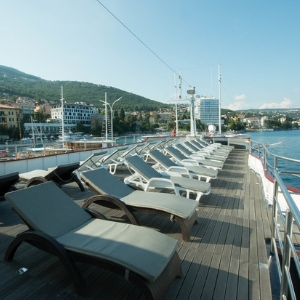 The large sun deck features an arrangement of relaxing sun loungers for optimal sunbathing opportunities. To the rear of the ship, the swimming platform provides easy ladder access to the sea. The MS Lupus Mare is an elegant 42.5 m cruiser that comfortably accommodates up to 40 guests. It boasts 20 air-conditioned en suite cabins that are modern, stylish and spacious. The public areas of the ship include a chic and expansive air-conditioned salon-restaurant with panoramic ocean views and bar. There is also a comfy lounge with sofas and extended alfresco seating. The large sun deck features an arrangement of relaxing sun loungers for optimal sunbathing opportunities. To the rear of the ship, the swimming platform provides easy ladder access to the sea. 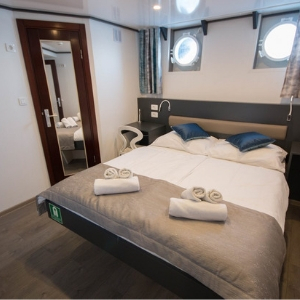 Guests can relax in spacious and comfortable cabins on board the MS Lupus Mare. 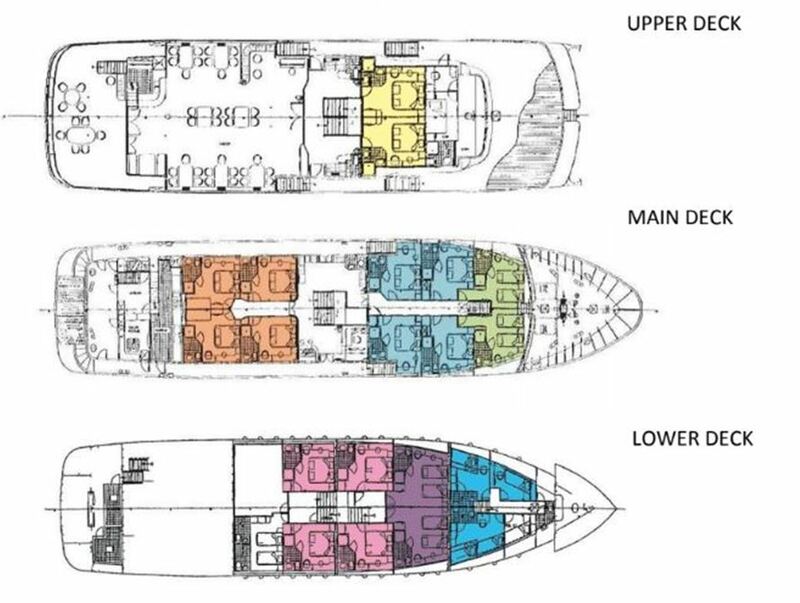 The 20 cabins are air-conditioned and arranged over the upper, main and lower decks. Each cabin offers flexible twin and double bedding configurations for up to 40 guests, and a private en suite bathroom with shower. Other amenities include a wardrobe, desk, in-room safe and hairdryer. The cabin décor is elegantly modern and showcases a palette of timeless neutral colours. Portholes and windows provide the ocean views. 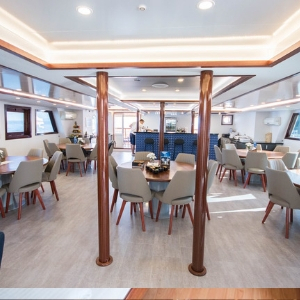 The spacious and comfortable public areas of the MS Lupus Mare are well-appointed and furnished in a chic modern style. The air-conditioned salon-restaurant comfortably accommodates all diners in a single sitting, whilst also offering exceptional sea views from the panoramic windows. The outside seating area features tables and chairs and canopy shading. To the rear of the ship there is a swimming platform offering easy ladder access to the sea during scheduled swim breaks. 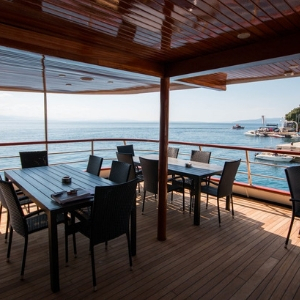 Guests wanting to soak up the sunshine can relax on a sun lounger on the large sun deck.